J.C. Penny Store Closures: The Death of Retail? Today, J.C. Penny announced they were closing 140 stores across the country. This means hundreds of people will be out of work. That may not sound like much, but when you add in the store closings by Macy’s, Sears, Bebe, Payless, The Limited and non-mall stores like Sports Authority, Borders and Circuit City, it’s a big deal. These are all mall stores, and the closing of even a fraction of these stores can have a large impact on shopping malls across the country. Online shopping is on the rise, and many people would rather shop from the comforts of their own home via their smartphone. According to reports, global retail sales amounted to 839.8 billion U.S. dollars in 2013 and projections show a growth of up to 1.5 trillion U.S. dollars by 2018. As more people shop online, less people will be needed to work at shopping malls. I don’t think shopping malls will disappear entirely, but is it possible we may see fewer malls? I think so. If that is the case, that will mean fewer job opportunities, and this could have a big impact on younger people who work in the malls at the stores, food courts, security and as custodians. Where will these people work? The world is changing, whether we like it or not. As the country anxiously waits for jobs to come back from overseas, we are losing some in the meantime. Nothing in life is guaranteed, and that includes landing that dream job. Instead of hoping we can keep our jobs, it might be time to start trying to create one doing something we enjoy. Now is the time to work on creating a business for yourself. The combination of layoffs and automation in various industries will eliminate many jobs for the foreseeable future. Don’t wait until you find yourself out of work (and prospects) to determine how you will earn a living. Today is the day to look into becoming your own boss! Pick up a copy of my book Readi – Set Go! A Successful Guide to Establishing a Successful Business today. Pick up a copy HERE. Available on Amazon in paperback and Kindle formats! Running your own business isn’t easy, but its not impossible. By following the principles in my book (co-written with Jeff White) you can increase your odds of business success. Will all jobs be eliminated? Of course not. But we don’t want to find ourselves in positions we don’t want to be in either. Publishers Daily Reviews: Readi – Set Go! We just received a GREAT review from Publishers Daily Reviews for our new book Readi – Set Go! A Simple Guide to Establish a Successful Small Business. If you (or someone you know) are wanting to start a business, click this LINK pick up a copy of our new book today on Amazon. Don’t wait on someone to give you a job, create one doing something you love! Mark Cuban is a billionaire. He is a savvy software developer and owner of the Dallas Mavericks. He also knows how to make deals and understands business trends. “That might have been a great job a few years ago, but you might be out of work in five years. We’re going to have a lot of displaced workers – the nature of work is changing,” he said. This is the time to seriously think about your future, and how you will pay your bills. Do you have a monetized website? Do you have a hobby that you can turn into a money-making venture? Do you have an idea for a business but aren’t sure how to get started? NOW is the time to seriously consider starting a business. It takes time to create a business. It will not happen overnight. Start turning your passion into a paycheck while you’re still employed! Learn everything from tax deduction tips to choosing a perfect business partner in my new book Readi – Set Go! A Simple Guide to Establishing a Small Business, co-written by Jeffrey White. The best time to plant a tree is 20 years ago. The second best time is today. Invest in your future and pick up a copy of my book HERE on Amazon. Automation is changing the world as we know it. Just ask Mark Cuban. Will you be ready? Contact me at Wynn & Wynn Business Solutions LLC for a free 30 minute business consultation. Let’s get your business off the ground! Today, I am excited to announce that my book Readi – Set Go! A Simple Guide to Establishing a Successful Small Business (with co-owner Jeff White) has been published! It is now available on Amazon. Click HERE to pick up your copy! You may be wondering who we are, and what makes us qualified to write a book on business? And why you should purchase our book? I am the owner of Wynn & Wynn Business Solutions LLC, and Jeff White is the owner of Jeff White Fitness Solutions LLC. We have extensive business experience and have ran successful businesses in the past. We both know the majority of businesses fail within 5 years. We also know many people work VERY hard to make their businesses succeed, but it’s not just about working hard, you have to work smart also. Running a business is tough. There are a lot of moving parts and it requires us to get out of our comfort zones. Unfortunately, many business owners are unaware of the time, effort, and patience that is needed to make their business a success. We both feel in this day and age, everyone should consider running their own business. The world is changing, and there’s no guarantee that any of us will work at one job for 20 years, or even find a job that we like that can pay our bills. Layoffs are a fact of life, and it can be very unnerving to have your life and career determined by people who only look at profit and loss statements. Thanks to automation, many jobs we take for granted may be gone tomorrow. Automation has made our lives much easier, but it comes at a price. For example, thanks to ATM machines, we can withdraw cash, deposit checks and do many things that used to require going into a bank and getting assistance from a live person. While this a great convenience, many jobs have been lost as a result. As computers replace humans, it could mean we are fighting for fewer and fewer jobs. Instead of hoping someone gives you a job, it may be time to create your own. These are just some of the reasons we wrote this book. We can’t rely on anyone else to take care of us. We can’t count on finding a job that pays all our bills and allows us to live comfortably. Instead of hoping our kids can get a job, why not start a business that they can eventually join if they choose? Our book gives valuable insight and tells you what you need to become self-employed. While no one can guarantee business success, knowing how to write an effective business plan, creating a user-friendly website, and building your brand can be what you need to help increase the odds. You may not know what you want to do right now, but one day, you may be ready to strike out on your own. This book will point you in the right direction! Have you thought about starting a business? Do you know a teenager who has big dreams but isn’t sure how to implement them? Have you been recently laid off and ready for a change? This may be the book that you need! Invest into your future and pick up a copy of our book on Amazon HERE today! Rich content: You must give people a reason to visit your site. That means having quality content that will keep them interested and wanting to stay after they find your page. Create a blog: Write weekly posts about trends in your industry or something that can capture your reader’s attention, wanting to come back for more. Quality design: Your site must be pleasing to the eye. Loud colors or a hastily made site that looks unprofessional will turn viewers off and give them the impression that the business is unprofessional as well. Make it interactive: Give your clients something to do by making it interactive. Include videos of you or your business for them to view. Offer a newsletter or email subscription to ensure you can keep in contact with them. Easy to navigate: Add easy-to-use links on each page so viewers can navigate your site quickly and efficiently. The harder a site is to navigate, the quicker they will leave, never to return. One of the goals of having a website is to generate business. This is a great way to expand your reach to people you may never meet. What if your website generates traffic but the people who visit don’t purchase your goods and services? A great way to use this to your advantage is by monetizing your site. When a site is monetized, a monthly income stream can be created from people simply visiting the site. This is accomplished by placing advertisements from various companies on your website. Your website provides a great opportunity to generate income and reach people around the world. It’s critical we take full advantage of this amazing opportunity. This is an excerpt from my NEWLY RELEASED book Readi – Set Go! A Simple Guide to Establishing A Successful Small Business. Have you ever watched Undercover Boss? This is by far one of my favorite TV shows. This is a show where the boss goes undercover, posing as a participant on a reality show. He is then taught the ropes by employees of his own company in various departments. They have no idea the person they are training is really their boss because he gives a fake name and wears a clever disguise. At the end of the show, the employees are flown to company headquarters where they think they are going to give their opinion on the person they were training, but instead, they discover it was the CEO of the company all along! The boss finds out a lot about his company, many times more than he bargained for. Some employees are not very good employees. They do things that leave the boss shocked and appalled. In a few episodes, the boss had to come out of character and reprimand the employee on the spot. In other cases, the bosses were left humbled and in tears because their employees were so hard working, dedicated and loyal. The boss typically rewarded the employees with cash and other great gifts as a token of their appreciation. This is a GREAT SHOW. It really shows people of all ages, races, and nationalities working EXTREMELY hard and having a fierce determination to succeed. As I watch this show, I kept help but wonder: what would happen if these people put this much effort into their own businesses? How successful could they be if they worked this hard for themselves instead of someone else? As we all know, running a business isn’t easy, and not everyone wants to be self-employed. The majority of people prefer having a stable paycheck and consistent work. There’s nothing wrong with that, but in this day and age that isn’t guaranteed anymore. Layoffs, downsizing, and companies moving overseas are all realities of the society we live in. We can be employed one day and laid off the next, all without a moment’s notice. Is it time for people to think about self-employment? Is it time to consider ways to create multiple sources of income? The show Undercover Boss has convinced me that people WANT to work hard. They are ready, willing and able to do what they have to do to get the job done. Why not take that tremendous work ethic and apply it to your own business? I believe it’s possible, but people don’t know where to start or what steps to take to make it happen. This is why I wrote my NEWLY RELEASED BOOK (along with Jeff White) Readi – Set Go! A Simple Guide to Establishing a Successful Small Business. This book does more than motivate you about starting your own business, it gives you step by step instructions on what should be done, from creating vision boards and business plans, to what expenses can be written off on your taxes. In order to start a business hard work is essential, but working hard and smart is what can make it a successful one. Tomorrow is not guaranteed to us, and that includes having a steady income. If you can work hard for others, why not work just as hard for yourself? Many of the bosses on Undercover Boss started with a little more than a dream. Do you have what it takes to be an undercover boss? I think you do! Want to read more? Pick up your copy HERE! 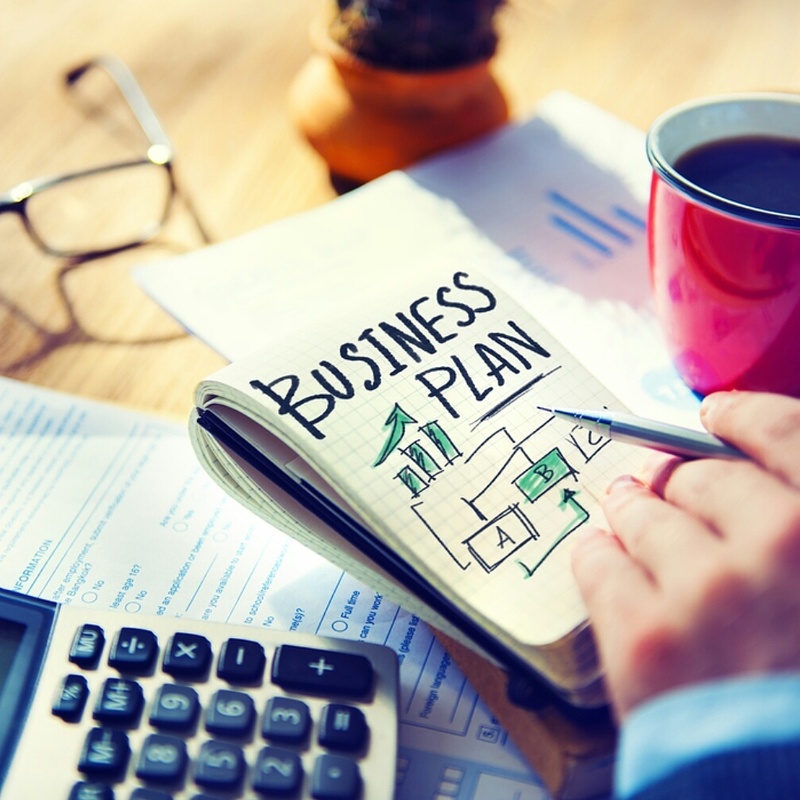 ​Are you READI to create your Business Plan? Are you SETTING your goals and objectives? Let’s GO and implement your Business Plan!!! BlogTalk Radio: Calling All Entrepreneurs! Join me live on BlogTalk Radio! February 15th at 6:30 pm as I talk to Jeffrey White about our new book! Call us at (267)521-0169 and join the conversation! ​Are you READI to start a business? Are you SET to make it happen but are afraid? Don’t look back and wish you would’ve tried. 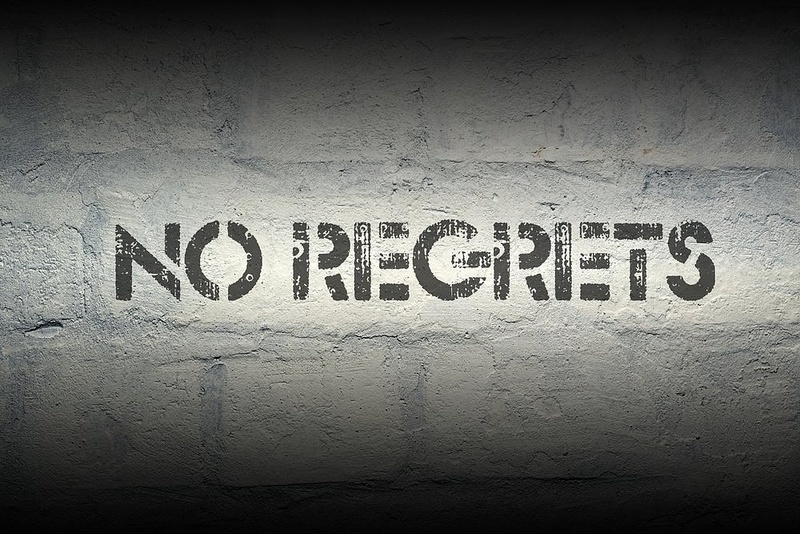 Live life with NO REGRETS!! LET’S GO!! !